The big day finally arrived beginning with a 5am wake-up and a quick trip to Newark. 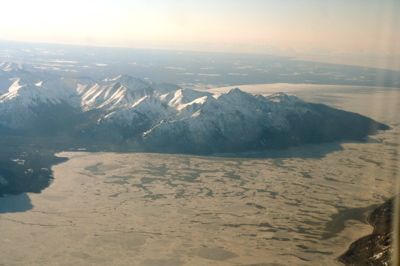 The flight was direct to Anchorage, with a stop over in Seattle for an hour. The flight was mostly full, with only a few seats empty. No luck pulling an upgrade, but I was able to score an emergency row seat. The flight to Seattle was 5 hours and 10 minutes, flying across 2 time zones. I do not understand why the airlines cannot put power ports on all planes and seats. It would make these flights much more manageable. I sat next to a homeland security engineer who was really into these headphones call Ultimate Ears. They are a custom molded high fidelity ear speaker that works better than my Bose Noise Canceling headphones. A one hour layover allowed me a needed leg stretch. I met up with Mike Caporale, one of the other Panasonic trainers, and had a quick drink. 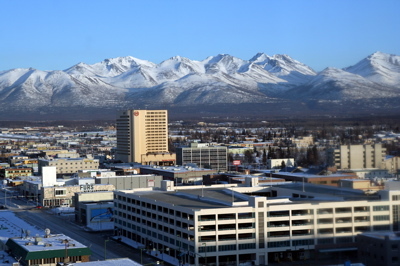 The flight to Anchorage was another 3 hours and one more time-zone away (4 hours behind NY). 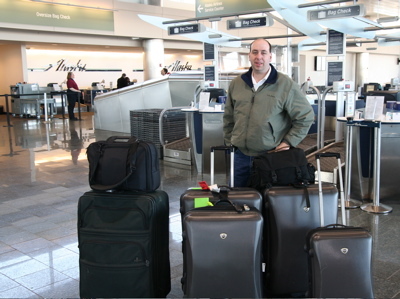 On the ground, we gathered all of the luggage and trekked through a maze of buildings and shuttle-buses to get to the rental car counter. 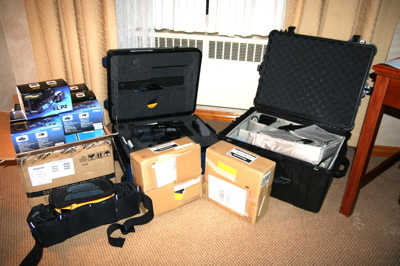 I arrived at the Hilton to find all of our packages had arrived, some 14 cases in total.